Have you ever wanted to see an annoying hipster get the crap beaten out of him by very short person of East Indian descent? Well too bad, this is a podcast, you only get to hear it happen. And hey, I’m somewhere in this episode. Good times. Royden visits an old friend for help. Cake is involved. No lie. Royden finally rejoins the regular world, already in progress. Of course there is still that whole framed for murder thing to deal with. Don’t you hate it when you come home after being framed for murder and find uninvited guests waiting. Yeah, Royden Poole’s night just keeps kicking him in the nards. Royden Poole’s night isn’t getting any better, but he might have a little help now, provided he has enough cash on him. If your looking for me in this episode forget it, I’m not back for a couple of episodes, but listen anyway, this is good stuff. 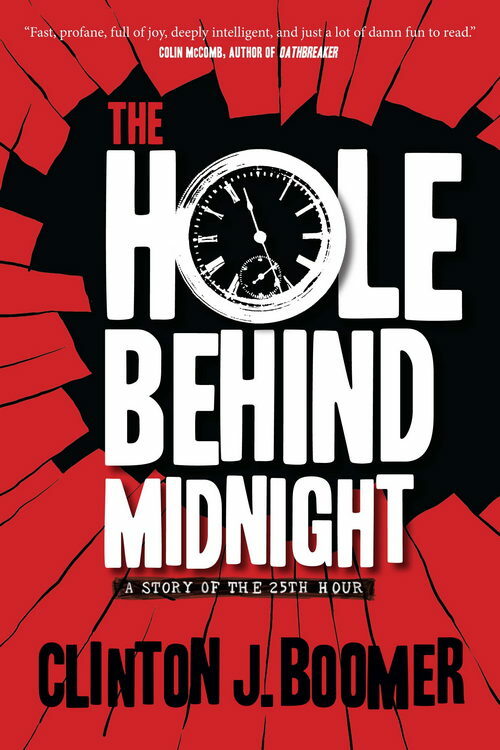 And here is episode 2 of the Hole Behind Midnight audio book podcast. Book by Clinton J Boomer. Audiobook produced by Julie Hoverson. Royden Poole’s annoying trip to the police station has taken a definite turn for the worse. So of course he needs to figure out why everything has gone to hell, oh and not get killed by the murderous clown. And I do show up in this episode. See if you can guess who I am. A while ago I mentioned I was working on an audiobook. Well it is now being released as a podcast. I have received permission from the producer to link to it here. So this is going to be done much like the Hermes and Hekate Roadshow was. 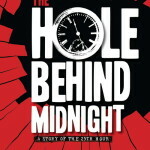 So here is episode one of The Hole Behind Midnight. Book by Clinton J Boomer. Audiobook produced by Julie Hoverson. Meet Royden Poole. He is having a bad time lately. He lost his girl friend and most people think he is dead. Too bad the police know the truth and need him to do something for them, because they don’t understand this magic BS and he does. And just FYI, I don’t show up in the first episode. Don’t worry I’ll show up soon.